The healthy harvest of quinces this season has had me thinking on how to use the fruit in innovative ways. We have made quince liqueur, quince jelly, baked them in the oven and roasted them with vegetables. 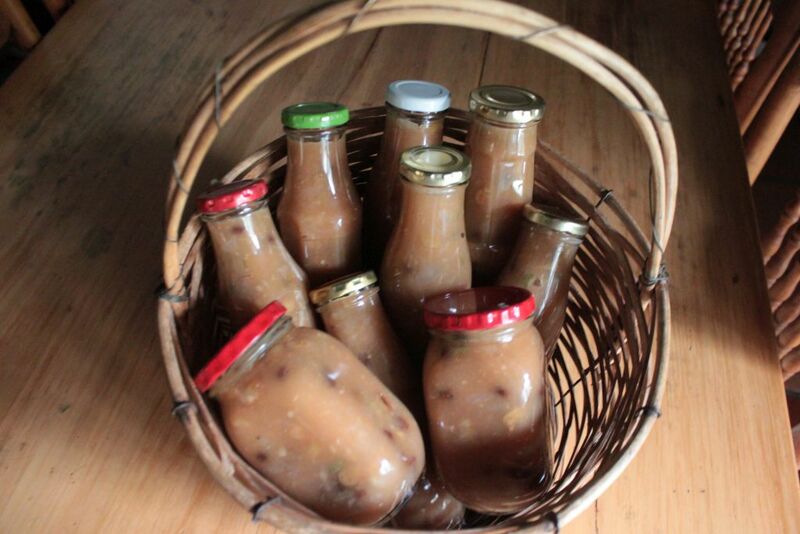 I decided to try a different chutney recipe from the one that I had used previously. I decided on the one in the recipe book ‘Cook and Enjoy It’ by S.J.A. de Villiers. 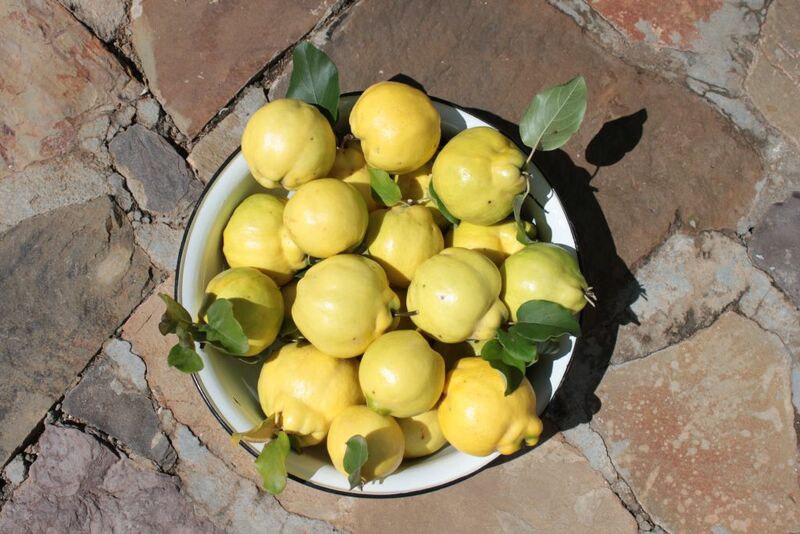 Luckily, the quinces are large and four were enough for the 1.5 Kg of quinces required for the recipe. I was happy that I did not have to peel a lot of tiny quinces to achieve the required volume. My experience with making chutney is that the chutney takes on the spicy colour of the ingredients. The quinces did not disappoint. The cooked fruit took on the familiar pink hue of cooked quinces. The colour of the quince chutney was a new experience for me. The texture of the chutney is less chunky and more like a spicy fruit butter. Well it will be interesting to see how it complements curries and cheese platters. When I think of the quince, I think of game or pork dishes. 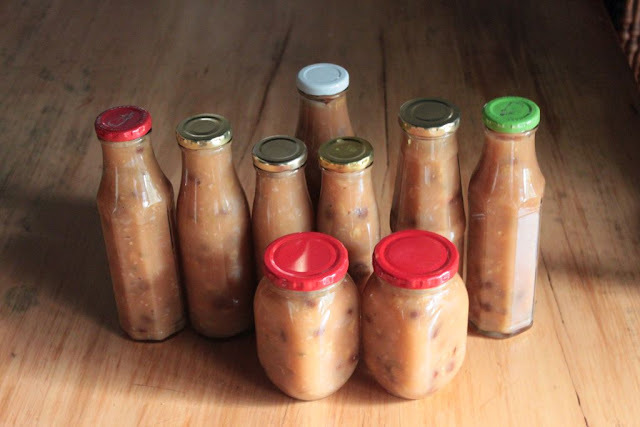 Perhaps I should try a Springbok curry or a spicy slow-roasted pork belly to serve with the quince chutney. That is life in a kitchen, food leads to food. Pairing the right flavour combinations always provides for a taste adventure. So once more, the produce from the garden dictates not only the meals but also the condiments and vice versa. 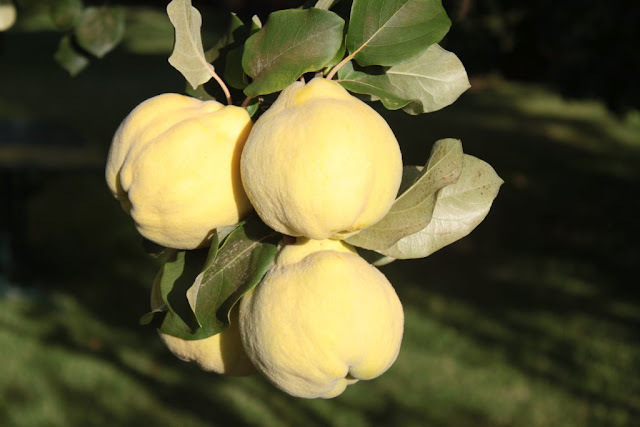 I will give the quince chutney a month or so to settle the flavours before I decide on how to use it with meals. It will possibly be good as a glaze for a slow-roasted leg of pork stuffed with garlic. 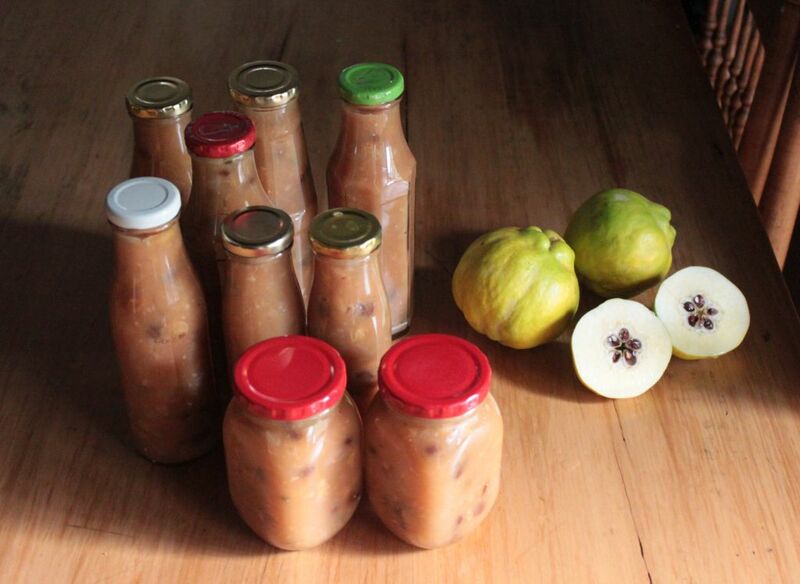 With the chutney bottled and stored in the cellar, I can focus on what to do with the rest of the quince harvest. 1. Peel, core and slice the quinces. 2. 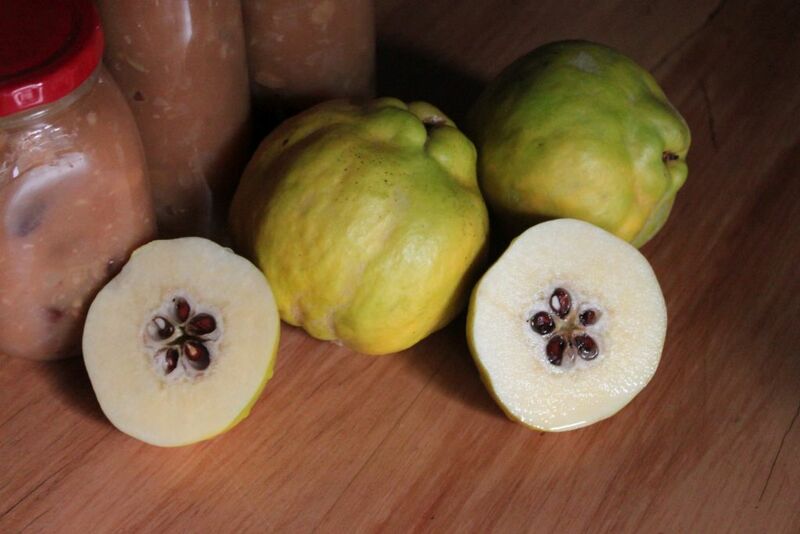 Cook the quinces in the vinegar until soft and rub through a sieve or blend in a blender. 3. Chop the chillies, onion and garlic finely and add the quince and vinegar mixture. Add all the other ingredients and mix well. 4. Simmer gently for 30 minutes until thick. Add more vinegar if needed. 5. 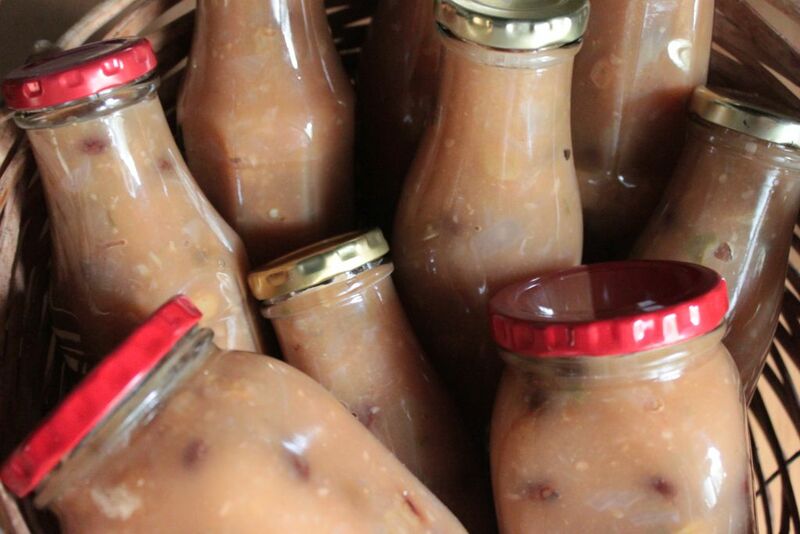 Bottle and seal the chutney while still hot. Four quinces for nine bottles of chutney seems quite good going!Judging by what quinces do for some dishes, the chutney will be put to good use. Thanks for the interesting post.